Happy April & Autism Awareness Month! I'm on spring break this week so I'm busy catching up on making some resources, writing IEPs, and developing new data sheets. We all know that keeping track of data in the SPED world is ALOT of work and takes quite a bit of organization. For me, keeping track of individual IEP goals and behaviors is easier than keeping track of when I hit specific standards with my kiddos. Not only do I have students in a variety of grades, but they are also on different "levels" as well. In Ohio, we have the Ohio Extended Standards that align with the Common Core. 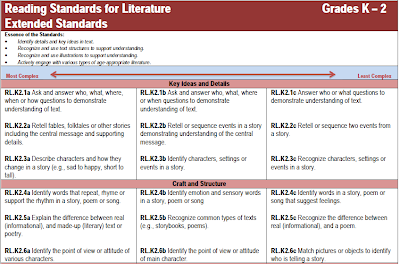 They are grouped as K-2, 3-5, 6-8, & 9-12 and also have 3 different "complexity" levels. 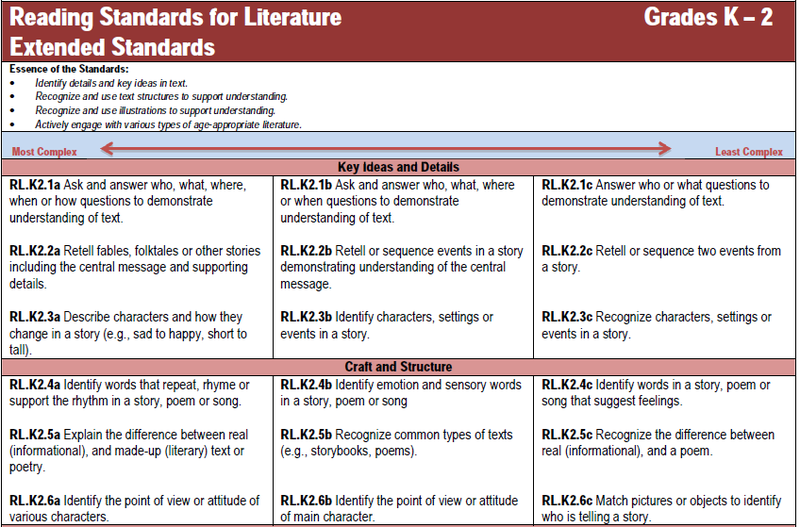 This is what the Ohio Content Standards look like, notice that they are separated by grade level. 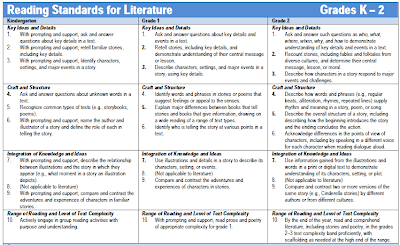 This is the same section of Content Standards, but the Extended version for my kiddos. Rather than being separated by grade level, this is for K-2 ranging most to least complex (left to right). Most of my kiddos are on the "least complexity" side of the standards, making it a tad easier on me. 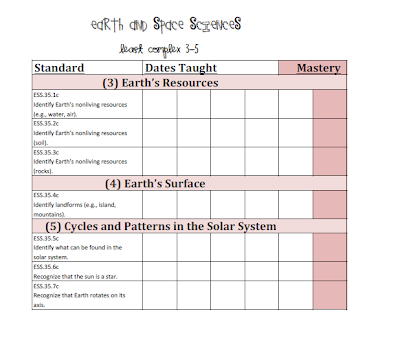 Over the last few weeks, I have put together these data sheets for both K-2 and 3-5 for the "least complexity" level of Language Arts, Math, Science, and Social Studies. This is an example of what the data sheets look like. 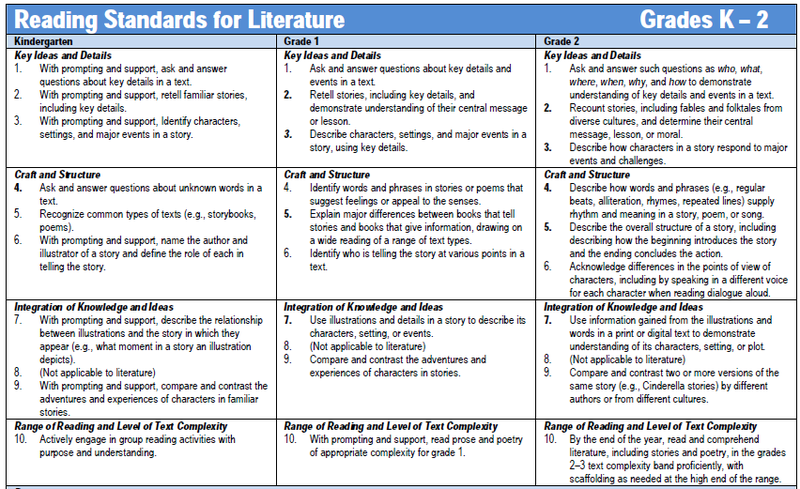 This is a page out of Language Arts & Science for grades 3-5 "least complexity". I love these sheets. 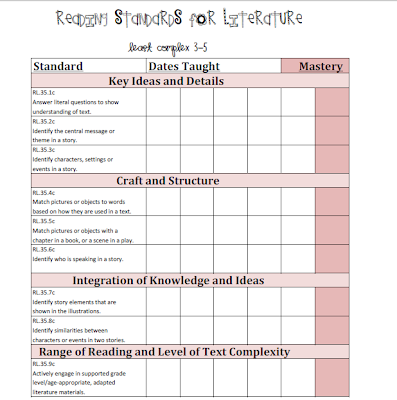 This is going to make it SO much easier for me to keep track of what standards I need to work on hitting with my kiddos, especially the Science & Social Studies ones that we don't cover on a weekly or even daily basis like some of the Reading/Math ones! 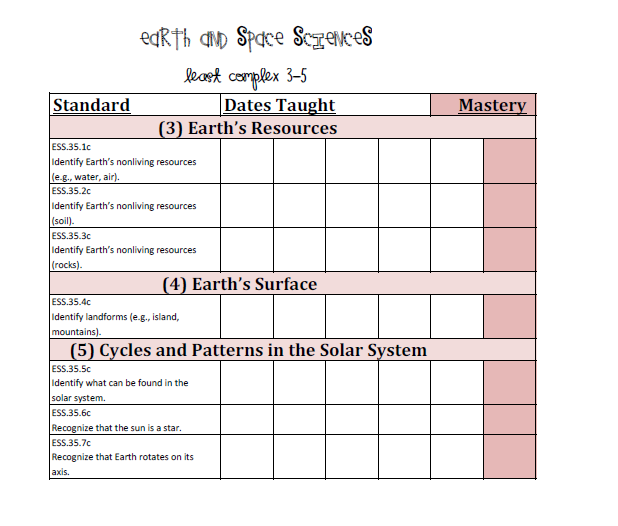 I've left "dates taught" boxes so that I can take note of when they are taught, and then finally when they are mastered! If you're teaching in Ohio like I am and would like to download these, head on over to my TPT and you can find them there! I like it when people get together and share opinions. Great blog, continue the good work! Her latest blog: How To Password Protect Folder In 15 Minutes And Still Look Your Best.